There is a new version of this course. Please see SAS® Regulatory Content for IFRS 17: Solution Overview. This course addresses the insurance regulation IFRS17 and the SAS components needed to complete the demands of the regulation. The course covers the IFRS17 regulation in theory and in practice by addressing each component. Complete the process flow of a typical IFRS17 project. Complete the actions defined in an IFRS17 project. Identify and view IFRS17 examples from each SAS component. View reports generated by the process flow. There are no specific prerequisites for this course. Familiarity with SAS Risk and Finance Workbench, SAS Infrastructure for Risk Management, SAS Business Rules Manager, and SAS Visual Analytics is helpful. This course addresses SAS Risk and Finance Workbench, SAS Business Rules Manager software. 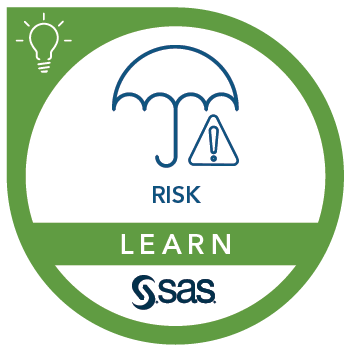 SAS Risk and Finance Workbench and IFRS17. SAS Infrastructure for Risk Management and IFRS17. SAS Business Rules Manager and IFRS17.